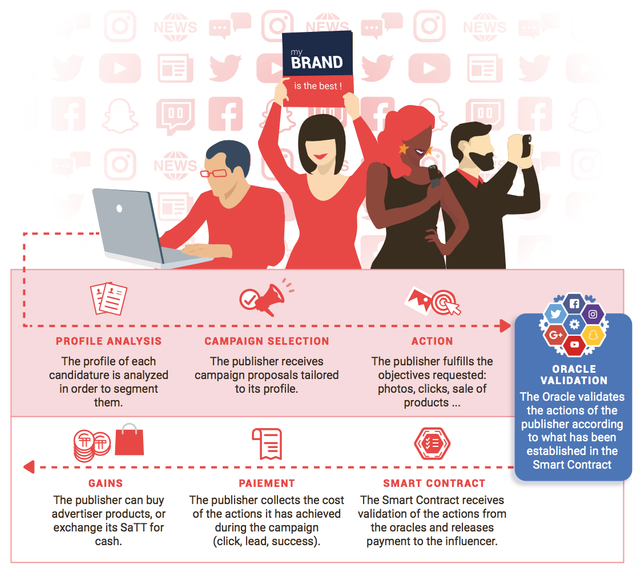 SaTT TOKEN – Smart advertising will change the marketing industry. long process of problem solving. In addition to all the above, in this area there are often scammers who do not want to comply with the terms of the agreement, because of what either advertisers or advertising agencies incur financial losses. 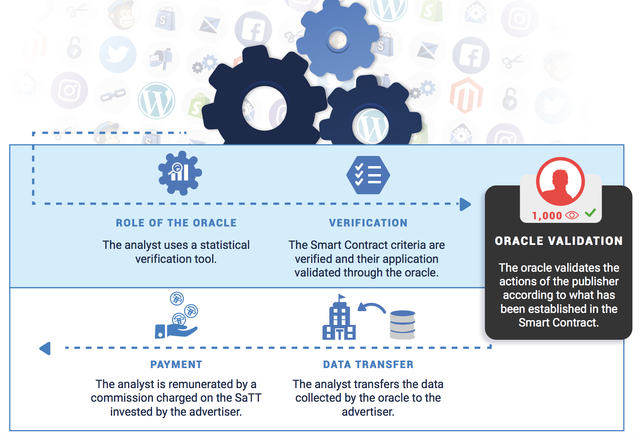 To solve all the above shortcomings and create a secure system of cooperation between manufacturers of goods and advertising agencies will allow the project called SaTT. 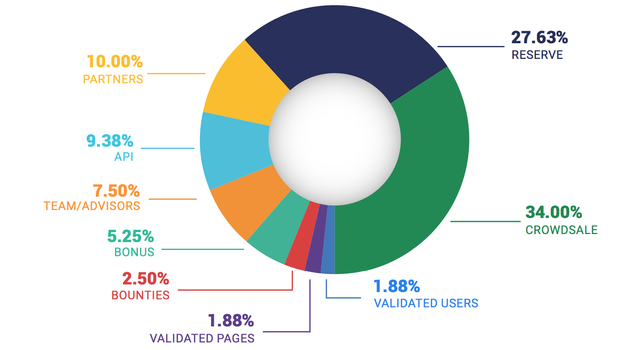 The main goal of the creators of the SaTTproject is to develop a unique system that provides relatively inexpensive advertising with the most transparent payment and fair remuneration for advertising agencies based on performance indicators. The SaTT platform is a project created on the basis of the Ethereum Blockchain, within the framework of which product manufacturers are able to place the most effective advertising of their goods. find out the statistics of views and the effectiveness of the advertising product. The second participant of the platform will be advertising agencies that will search for an interested audience and advertise on social networks and various resources. Through the use of Blockchain technology and smart contracts, they can be sure that the advertising company is financed and if all the conditions of the transaction are met, in the form of a certain number of clicks and links, they will receive their funds. The third participant of the platform will be observers who will monitor the implementation of the terms of the smart contract and receive a reward in the amount of a Commission for the transfer of funds from the customer to the contractor. 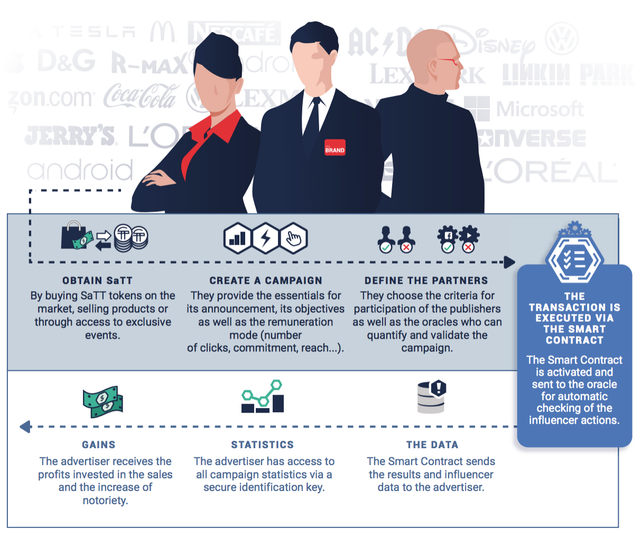 Thanks to this interaction scheme, the SaTTproject will ensure fair and transparent relations between advertisers and advertising agencies, eliminating the possibility of fraud. Moreover, advertisers will now pay for the effectiveness of advertising, not for a monthly subscription that does not provide any benefits. 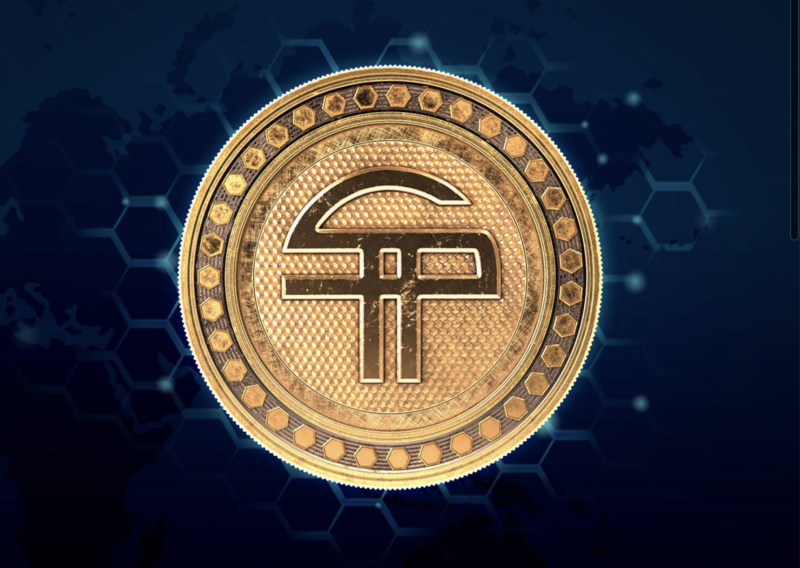 The main settlement means within the framework of the platform will be SaTT coins, which can be purchased during the ICO. Public sale of coins will be carried out in the period from may 1, 2018 to March 31 this year. During this period, the developers intend to sell 200 million coins. The cost of the 1st SaTT will be $ 0.42. Softcap project – 3.36 million dollars, hardcap – 28.56 million dollars. The SaTT platform, which allows advertisers to pay only for effective advertising, is able to attract many manufacturers of goods, as it will save them huge sums. No less attractive it will be for advertising agencies, as they will get confidence that the advertising company is financed and for the work done they are guaranteed to receive their reward. Given all this, the platform is able to gather a huge audience, so investing in its development can be profitable.